The Romanian mobile app Studentist was the European Continental winner of the mYouth 2.0 International Mobile App Camp in Ohrid and had a chance to attend on the Gala event of the European Youth Awards 2018 in Graz, Austira. Studentist is an app helping dental students to practice on real patients. In Romania, dental students are required to gain experience and work with patients to complete their studies. Professional dental care is very expensive and many poor people cannot afford it, thus the app offers free services of students. The main goal of Studentist is to connect these target groups, matching patients needing dental care with students needing practice. Students work under the supervision of a university professor ensuring professionalism and safety standards. The patients only have to pay the materials for the dental services. We asked one of the team members behind Studentist, Mario Vasile to share his story about their mobile app and to tell us more about the mYouth 2.0 experience. 1. Can you please tell us briefly what is Studentist about and does it have already positive results and feedback from the users? Mario: Studentist is the app that connects people in need of dental care with students from dental universities. The treatment they receive for their dental problems is of good quality and cheaper than in a normal dental praxis. People that can’t afford dental treatment will no longer suffer from dental problems. Patients can choose a cheaper option now: the dental students. The app also helps dental students find patients and fulfill their clinical cases in order to pass their final exams. Until now, Studentist has matched 1150 patients with students. 2. What is the social impact your app aims to produce? Mario: We want to make dental care affordable for everyone, to improve their health and social lives as well. 3. What is your main focus in mobile app development and what are your career goals? Mario: Our main focus is to make useful apps for community. In terms of career, we would like to add as much value as we can for the community and for the world. If we will be able to work at a company which already does that, then great, if not we will try to start our own one. 4. 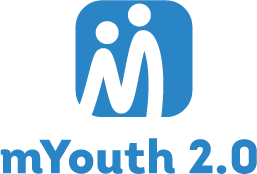 How did the mYouth project helped you to develop your app and its business model, and did it help you to advance your personal and professional skills? Mario: The mYouth project opened our eyes to new possibilities such as further developing the app for dentists as well. Another impact: it raised awareness of the need for such an app in other countries such as Bosnia and Herzegovina and Poland. 5. What is your biggest inspiration to contribute to the positive community change by using your IT knowledge? Do you think start-ups and small business should be focused on community advancement? Mario: We think that start-ups should focus on adding real value. Sometimes it’s just easier to focus on the community because there are problems which you resonate with. The IT knowledge is helping us add value easier to a much broader audience. 6. Your team were one of the Continental winners of mYouth 2.0 project and you had the chance to pitch your app at EYA 2018. What are your impressions after the event? Mario: It was our first time talking in front of such a large audience. We were impressed of how good public speakers were the big majority of the winners. It inspired us to want to become better at presenting our work to the world. It was a good practice for us and we are grateful for the opportunity we were offered. 7. Overall, what was your most memorable experience of the mYouth project? Mario: The most memorable experience was the pitch day, we were amazed on what people presented and the powerful message they sent.